Striving to fully satisfy our customers and as well to further develop and modernise the KAN-therm System we maintain the highest level of products we deliver and the standard of our service. A documented and implemented and fully operational Quality Management System based on ISO 9001:2015, the efficiency of which is continuously perfected confirms all this. 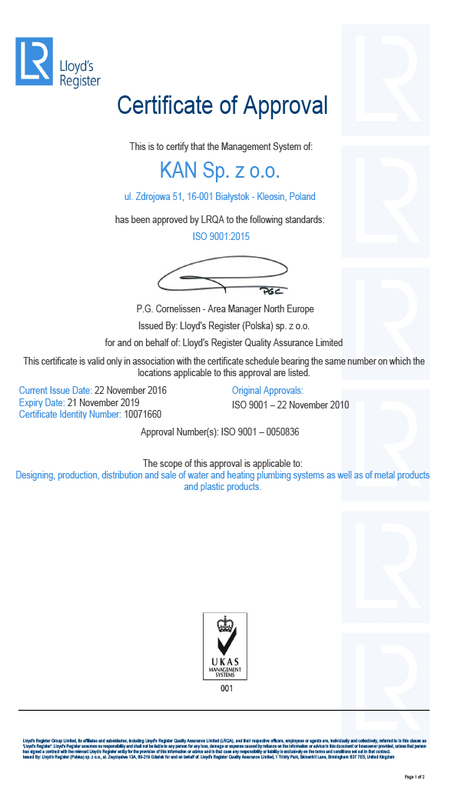 The renowned certifying body Lloyd’s Register Quality Assurance Limited certified the system.